Last week, I talked about factors to consider BEFORE chemically highlighting your natural hair. Please read that post before delving into to this one. This week, I'll discuss some precautions one should take when highlighting natural hair at home. 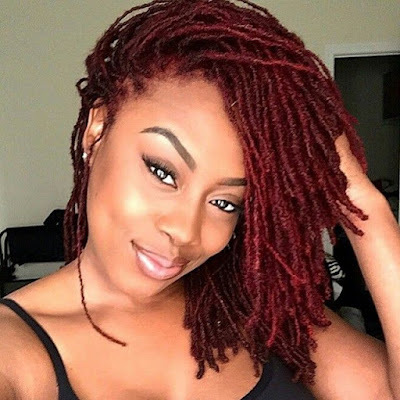 If you choose to have the process done professionally, be sure that your colorist knows how to color natural hair and not just hair in general. I had a friend walk into an Aveda salon and walk out with beautiful color but loosened texture and dry hair. Don't let that be you. 1. Use a commercial kit. Commercial highlighting kits are designed to yield minimal mistakes. I have used (in the past) and recommend African Pride HiLites. L'Oreal Colour Rays (used this time) is also good but TOO strong for relaxed tresses. Though a few people have had success with hydrogen perioxide as a highlighting technique, I do NOT recommend it (from my own past experience); by the time it lifts the color to a desirable shade, damage is done to the strands. 2. FOLLOW THE DIRECTIONS provided in the kit. This is the number one precaution one must take above all others. Many highlight jobs go wrong when instructions are not followed properly. I've had the experience of my whole hair break off when I left a dye on for 5 minutes longer than stated in the directions. 3. Pre-treat with coconut oil for 20 minutes before highlighting. I don't know whether this method is effective against chemical damage or merely psychological, but I felt better knowing that my hair was strengthened going into the dye job. The oil did not interfere with the intensity of the color in my experience. 4. Don't leave the dye on your head longer than instructed. Actually, it is ideal to leave it on for less time. If the kit says 25 minutes, leave it on for 20 minutes. If you want optimal color, leave it on for the full 25 minutes but no longer than that. 5. Rinse and wash your hair and scalp thoroughly after the process. 6. 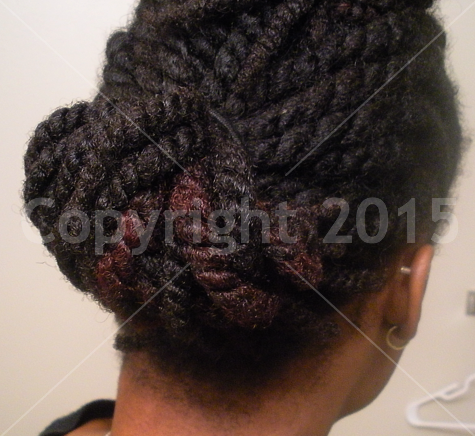 After using the conditioner/conditioning shampoo from the kit, follow up with your usual deep conditioner. This step will ensure that moisture and strength is restored to your strands. In my recent highlighting experience, I immediately followed up with a 20-minute deep treatment using Lekair Cholesterol mixed with olive oil. 7. Wait about 4-6 months to highlight after a henna treatment. (See this link.) After highlighting, wait another 4-6 months before hennaing again. Some individuals may highlight/henna sooner, but this precaution is just to be on the safe side.